I am writing this open commentary as a Tufts University trained dentist, Harvard trained public health expert, author of nineteen books and three dozen scientific peer reviewed publications, a maker of six documentary films (including the “Best Film-2016” in London and Geneva competitions titled UN-VAXXED: A Docu-commentary for Robert De Niro), in response to the Australian Government’s recent National Health and Medical Research Council’s pro-fluoridation campaign As a veteran general dentist, periodontist, and America’s leading author of dental self-care educational materials for consumer advocacy, I am extremely concerned about fluoridation myths and misrepresentations perpetuated in the NHMRC’s 2017 review of fluoridation. This letter serves as Notice of widespread consumer fraud committed by “fluoridationists” who, in my opinion, are simply brain-washed, mind-controlled slaves of drug industrialists serving what I call the “military-medical-petrochemical-pharmaceutical-banking cartel.” (Recently, the American news media has increasingly referred to this global cartel as the “Deep State.”) In short, these parties profit from diseases and death, historically neglecting public health and citizens’ safety. Unlike dentists who promote “dental fluoride” because they were persuaded by propagandists spewing “pseudo-science” to promote their commercial enterprise (that includes making money off of humanity’s suffering), I personally studied with the main men most responsible for establishing the risks, benefits, and recommendations for water fluoridation for “dental public health” in the United States—Dr. Basil G. Bibby and Dr. Dennis H. Leverett—both professors at the Eastman Dental Center in Rochester, New York, where I enjoyed their instruction as a post-doctoral fellow in periodontology, 1977-78. Dr. Bibby was notably the first, most esteemed, water fluoridation expert, and I studied vigorously with his scientific beneficiary, Dr. Dennis Leverett, who, at the time I studied with him, was VERY concerned about “ fluorides and the Changing Prevalence of Dental Caries.” He subsequently published this disturbing and controversial research in the esteemed journal Science (217, July 2, 1982, 26-30) that resulted in cutting in half the amount of fluoride added to community water supplies throughout the United States. Dr. Leverett’s research reduced the recommended amount of unnatural fluoride added to drinking water from “1.0 ppm” to “0.5 ppm”—half the dose now used. His controversial studies proved children swallowed, on average, a half a gram of fluoridated toothpaste daily; and that toxic dose combined with “too much dental fluoride” in our drinking water causing widespread cell death in humans. The generally toxic system-wide impact was first noticed on children’s teeth—discolorations in new tooth enamel formed from poisoned and dying cells. I am appalled by these mental midgets acting on community water fluoridation committees, including physicians and dentists who justify toxic doses we and our children are forced to consume when we get thirsty. It is grossly ignorant and unconscionable to administer the poisoning of the purest, healthiest, natural spring and rain water on earth, as promoted by these fluoridation idiots claiming dental health benefits while they, and their families, get sick and die from diseases increasingly recognized as linked to dehydration and body chemistry acidification associated largely from community water supply adjusted pH levels. Fluoridation acidifies drinking water (i.e., decreases pH) due to the addition of hydrofluosilicic acid and sodium silicofluoride. This not only has a corrosive effect on waterlines and equipment, but on the human body. Every chronic disease, including cancers and plagues, are largely attributable to acidification of body chemistry due largely to “pH adjusted” drinking water, or dehydration prevalent in both developing nations as well as developed countries poisoned by acidifying soft drinks, aspartame, and addictive caffeine. 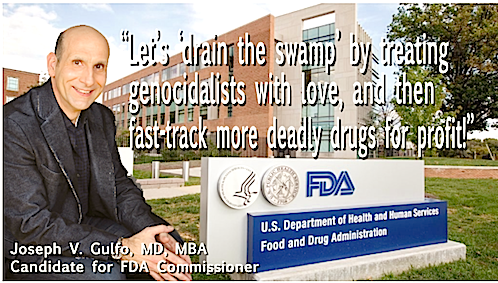 Get a grip on drug industry “public health” prostitution that taints our captured government regulators and agencies that approve of the poisons damaging civilization. We at ‘Fluoridation Queensland’, thank you for this information.